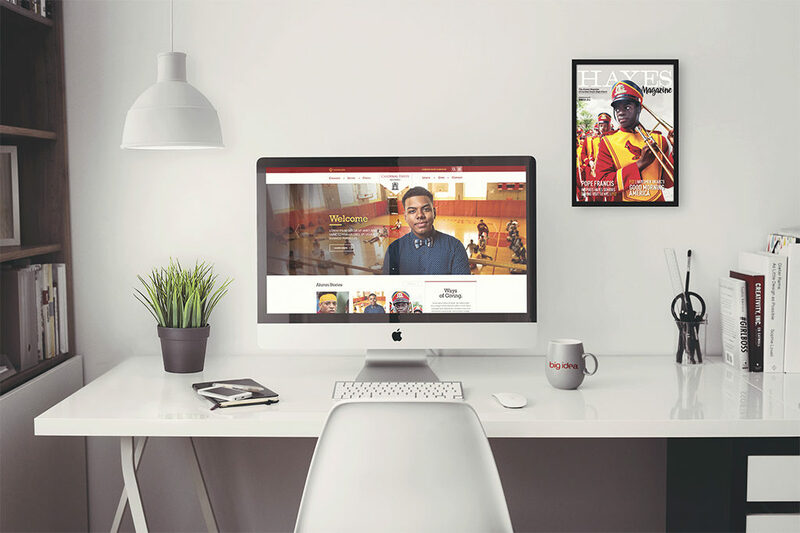 This week, Big Idea launched Bronx-based educational institution Cardinal Hayes High School’s new alumni website, alumni.cardinalhayes.org. The new site offers alumni a streamlined way to stay connected and support the school. The Hayes alumni website is part of a larger initiative that Big Idea is developing in conjunction with the institution to improve alumni engagement and increase the endowment. Big Idea redesigned the website to elevate the look of the institution and better engage alumni online. The site features alumni and student stories, event calendars and a donation platform all on an easy-to-manage WordPress content management system. The responsive design automatically adjusts to provide the best viewing experience for a variety of today’s screen sizes including desktops, tablets and smartphones. The current Big Idea-supported initiative also features a bi-annual alumni magazine, which recently received 2 communicator awards for excellence, digital video content, and giving campaign communications. “Cardinal Hayes has had a profound effect on the lives of men in their community. I have heard so many moving stories about the life-changing impact of education on careers and families–both from alumni and current students. It is critical that the institution continue to provide that opportunity for advancement. I am so pleased with the new website and that Big Idea has had a role in connecting alumni and students and sharing their stories,” said Big Idea Founder and President Steve Defontes.